Beyond Breakdowns: Fiddle Workshop (intermediate) with Cliff Harrison- Cliff will teach some less common old-time tune forms. Ever wanted to try a schottische or a (non-Irish) jig? Now’s your chance! Clawhammer Banjo Workshop (Beginning) with Kaia Kater- This will be a hands-on workshop where participants will learn tunes in the clawhammer style as well as several drills to improve technique. 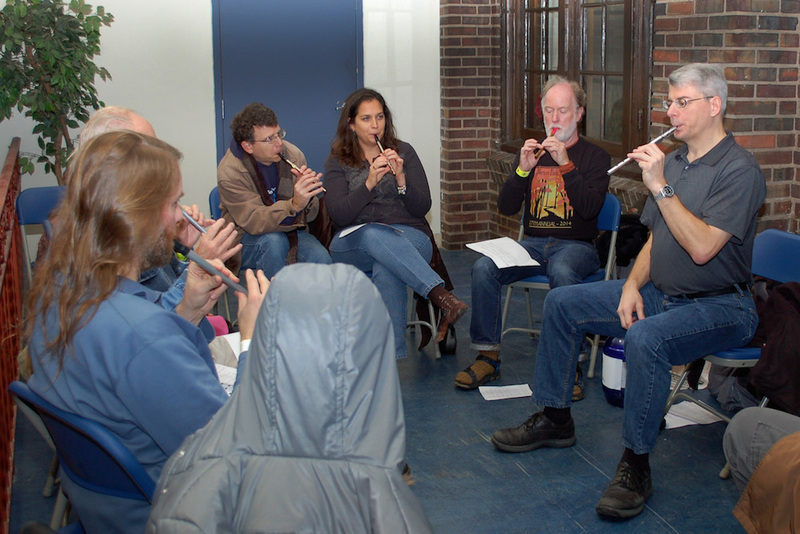 Participants should bring their own instrument; observers are welcome. Open Tuning Slide Guitar Workshop with Shari Kane- Delta blues guitarist Shari Kane will cover important slide techniques in this workshop, demonstrating tips for better sound, as well as useful information about where the licks are in open tuning slide. Tabs provided! Bring slides! Random Acts of Harmony Workshop with Lilli Lewis- Make music that “makes itself” in a group Circle Sing while exploring how the rules of harmony and ensemble can help engage and strengthen your awareness and appreciation for community. No experience required.